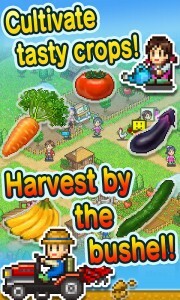 Japanese mobile game developers Kairosoft, well known for their simulation games such as Game Dev Story and Hot Springs Story have just outed their latest farming SIM called Pocket Harvest. 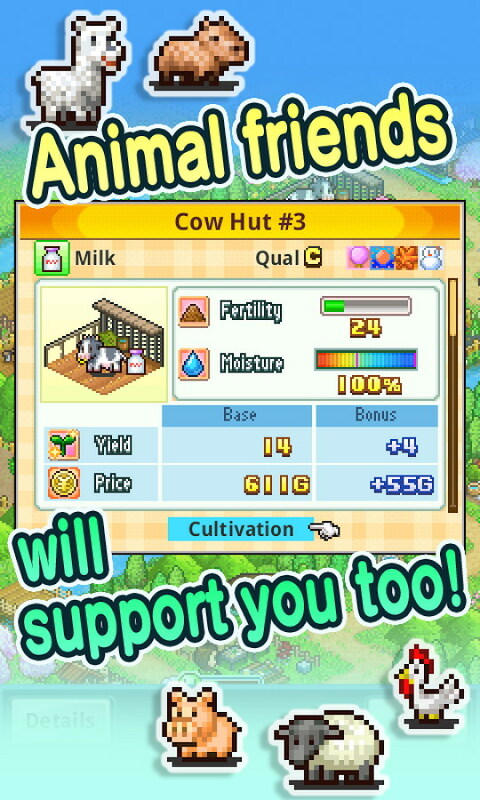 This is a game you’re most likely to be familiar with if you’ve played Farmville or Harvest Moon because you’ll be in charge of a farm that needs to be looked after and made profitable. If cultivating crops and tending cows and chickens is your idea of a relaxing time, Pocket Harvest will ensure that you have a pretty good time doing just that. One of the main reasons you’ll be planting and harvesting crops is that you can compete with other farms to get the local grocers to order your produce. 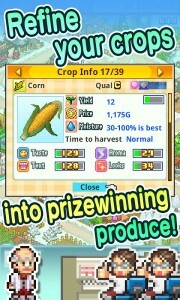 That means you’ll be working hard to churn out the best and finest produce from your farm. The local veggie fairs will be the perfect place to display your wares and fight for the best produce prizes. 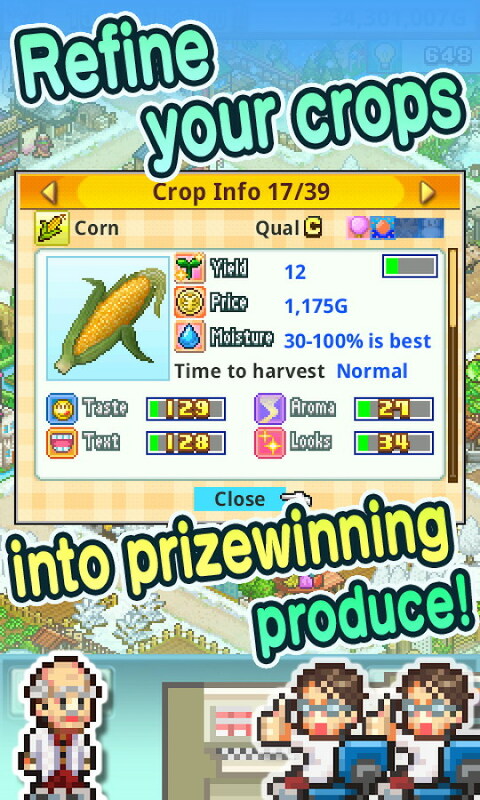 Although this is a farming SIM, you’ll be doing a lot more than planting carrots and strawberries. 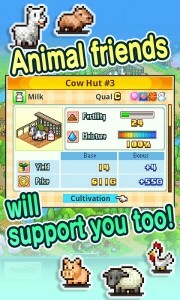 For instance, you’ll tend to some animal friends who in turn will help you out by providing eggs, milk, wool and so on. You can make use of the income earned from your farm to expand your horizons a little more. That is you can convert your farm into an attractive tourist destination by organizing hot air balloon rides, building sports facilities and other attractions to draw crowds from the cities. You would have never thought about turning your farm into something more, would you. 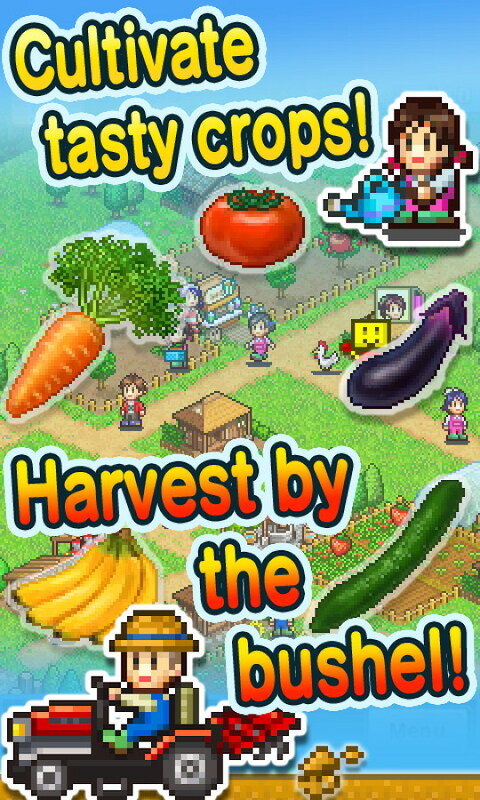 That’s Kairosoft for you. Always looking to add something more unique and engaging to what you’re already familiar with. If you’ve got a handy $4.99 and a pair of overalls, you can jump into the Play Store now and get your farm up and running.